Though it’s highly unlikely, but Apple may surprise the aficionados and announce a wireless charging case for AirPods. Apple CEO Tim Cook has landed in New York City for the much-anticipated October 30 event in which the company is expected to launch a series of hardware products, including an iPad Pro, a MacBook Air and a Mac Mini. It was previously reported that the company would launch this hardware at the Gather Round event in September but Apple primarily dedicated that event to the new iPhones. According to a report in 9to5mac, the iPhone XS and the iPhone XS Max proved a significant success for Apple, even before the iPhone XR went on sale, though the picture will be clearer when Apple releases its quarterly results on November 1. After today's launch, the Cupertino-based company will also expect the new hardware to follow in the footsteps of the new iPhones and become hit products. As per information making rounds on the internet, Apple will launch new hardware at an event in Brooklyn, New York on October 30. The event will commence at 10AM local time, which translates to 7.30 PM IST today. Just like its previous event, you can watch the proceedings live on your Mac or PC using the Safari browser or on Apple TV. Users with other Apple products like the iPhones or the iPads can also stream the event on their devices. The event will not be live on YouTube. Here's what Apple is expected to launch at the event. It is being reported that Apple will be streamlining its hardware and will bring a design to the new iPads to that will match the new iPhones. Apple may completely remove the famous Home Button in favour of Face ID and bring an edge-to-edge display design to the new iPad Pro. The chances of a notch on the iPad are extremely bleak and, frankly, Apple shouldn’t even think of such a design. Instead, the bezels are expected to be thick enough to house a camera and necessary sensors for the Face ID. 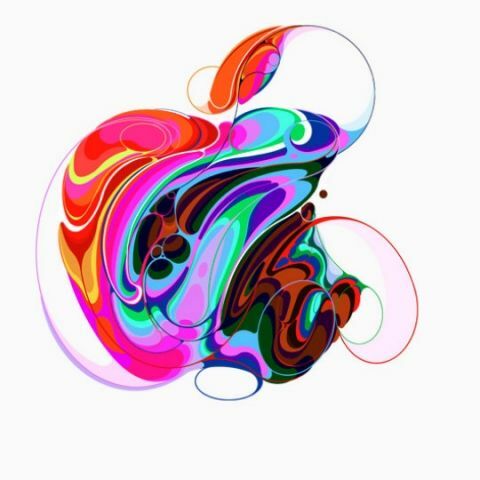 When it comes to the display sizes, Apple is expected to launch the iPad Pro in two LCD screen variants – 11-inches and 12.9-inches with Aluminum body and thin bezels. The new iPads may be powered by an A12X chipset and ship with 64GB/256GB/512GB/1TB storage options. Industry watchers expect the device to be available in Space Grey, Silver, and Gold colour options. Suggestively, the company could opt for a USB-C port in place of the regular lightning port. Apple MacBook and MacBook Pro already have USB-C connectors. Apple may also launch a budget iPad in the form of an updated iPad Mini. Apple last launched the Mac Mini in 2014-2015 with an aim to punch way above its weight with fourth-generation Intel Core processors, faster integrated graphics, Thunderbolt 2, next-generation Wi‑Fi and plenty of ports. But the company has not refreshed the hardware since and the punches fell short over time. Apple is expected to raise the bar with the updated hardware and new features this time. The Mac Mini is basically a compact desktop for people who seek more power in a PC with small form factor. If we were to compare Apple’s laptop with a smartphone, Apple’s MacBook Air is like the iPhone XS Max. It is one of the most anticipated hardware when it comes to laptops, but sadly, it has been bearing the same design for years. On the contrary, its competitors like the Microsoft Surface Laptop, Dell XPS, HP Spectre 360, among others, have updated their devices with catchy, useful designs. So Apple may make its competitors a bit uncomfortable if it launches the MacBook Air with a new design. Also, there are claims that Apple will also update the MacBook Pro, but we are not counting on it to happen today. Reportedly, other Apple products like the Apple Pencil that accompanies the iPad, may also get an update. The AirPods may also see a refresh and get wireless charging support. Though a lot less has been reported on these peripherals but Apple may surprise its potential customers with a treat.